AMSOIL Synthetic DCT Fluid resists the extreme heat in today’s high-temperature DCTs to provide complete protection for gears, bearings and other vital parts. Its high film strength and anti-wear/extreme-pressure additives are specifically designed to protect the metal surfaces of DCTs. AMSOIL 100% Synthetic DCT Fluid should be changed according to your vehicle manufacturer’s recommendations. This product is not expected to cause health concerns when used for the intended applications and according to the recommendations in the Safety Data Sheet (SDS). An SDS is available via the Internet at http://www.amsoil.com or upon request at (715) 392-7101. Keep Out of Reach of Children. Recycle used oil and bottle. For detailed typical technical properties, download the product data bulletin. For more information about AMSOIL go to http://www.amsoil.com or http://www.The1stSyntheticoil.com. 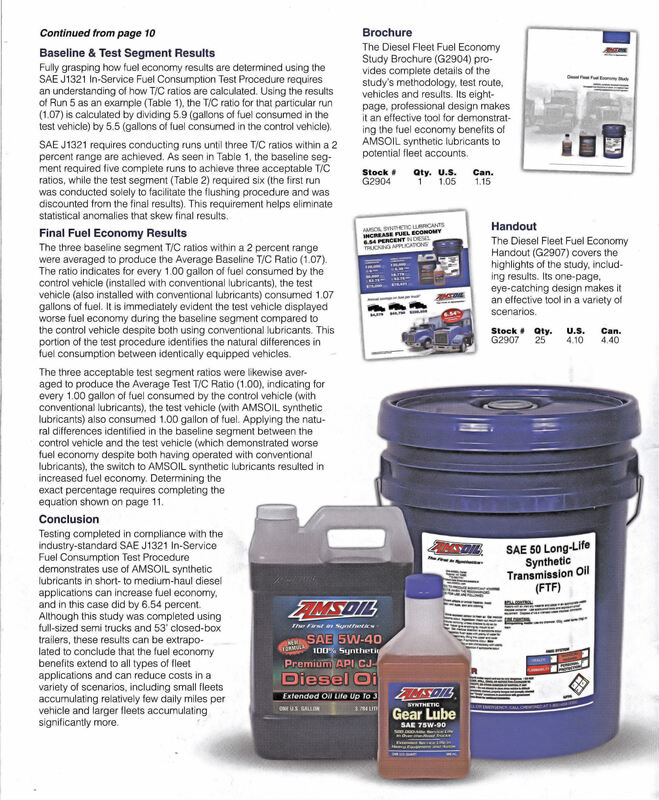 Should you desire to purchase AMSOIL products, call 1-800-777-7094 and tell the operator you are working with ZO 9792. New AMSOIL Synthetic Dirt Bike Transmission Fluid (DBTF) is designed for riders who prefer a dedicated transmission fluid instead of a multi-purpose motor oil. Last year, in response to market demand, we introduced AMSOIL Synthetic Dirt Bike Oil (DB40, DB50, DB60). It is fine-tuned for confident clutch feel and outstanding wear protection – benefits riders demand. While Synthetic Dirt Bike Oil delivers excellent performance, some riders, particularly owners of dirt bikes that use a separate sump for the transmission fluid, prefer a dedicated transmission fluid instead of a multi-purpose motor oil. New AMSOIL Synthetic Dirt Bike Transmission Fluid (DBTF) fulfills this need, helping you reach more customers and grow sales. AMSOIL is the #1 Synthetic Lubricant in America today and you can either sell or purchase these products. Call 1-800-777-7094 and give the operator ZO 9792 should you desire to purchase or go to http://www.SELubricants.myamsoil.com or http://www.The1stSyntheticoil.com or http://www.amsoil.com for more information. 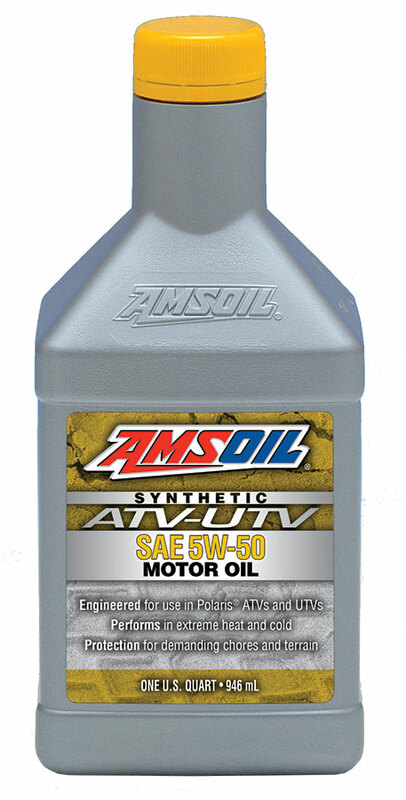 AMSOIL, the #1 Synthetic Lubrication Marketing Company in America, has added four NEW products for ATV/UTV owners to their inventory line which will provide customers with greater selection and keep their machines running cooler through hard runs. These products consist of Motor Oils, Transmission and Differential Fluids and a Front Drive Fluid. The complete line of AMSOIL synthetic ATV/UTV lubricants provides hard-working and performance ATVs and UTVs upgraded performance and protection. 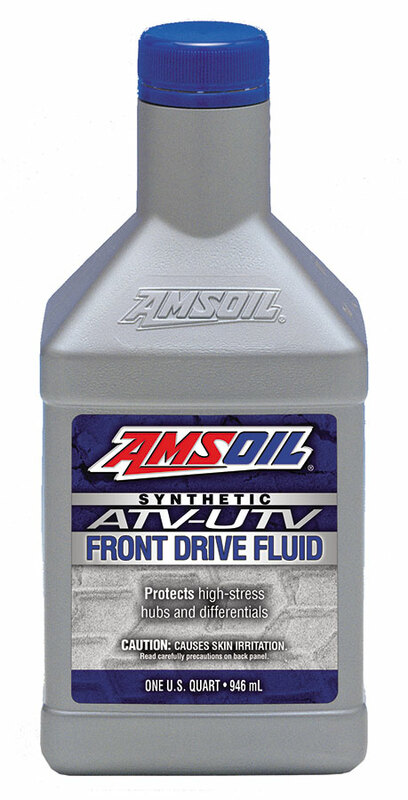 These NEW AMSOIL products and pricing can be viewed at http://www.amsoil.com or http://www.The1stSyntheticoil.com. Should you desire more information or desire to purchase any of the AMSOIL products you can call 1-800-777-7094 and give the Operator ZO 9792. AMSOIL, with Headquarters in Superior, Wis. has been in business since 1972 marketing the BEST Synthetic Lubricants on the market and is the FIRST company in America to receive an API rating for their 10W – 40 motor oil which has a service life of 25,000 miles or one year. AMSOIL, the leader in Synthetic Lubrication with the BEST Motorcycle Lubrication products in the market place continues to expand this product line giving bikers the finest money can buy to protect their investment. AMSOIL Synthetic V-Twin Transmission Fluid (MVT) and AMSOIL Synthetic V-Twin Primary Fluid (MVP) are purpose-built for bikers who shy away from using a motor oil in their motorcycles’ transmissions or primary chaincases. Their introduction establishes secondary product recommendations in these applications, giving customers more options and helping Dealers reach a previously inaccessible segment of the market. The main recommendation for motorcycle transmissions and primary chaincases remains AMSOIL Synthetic Motorcycle Oil. 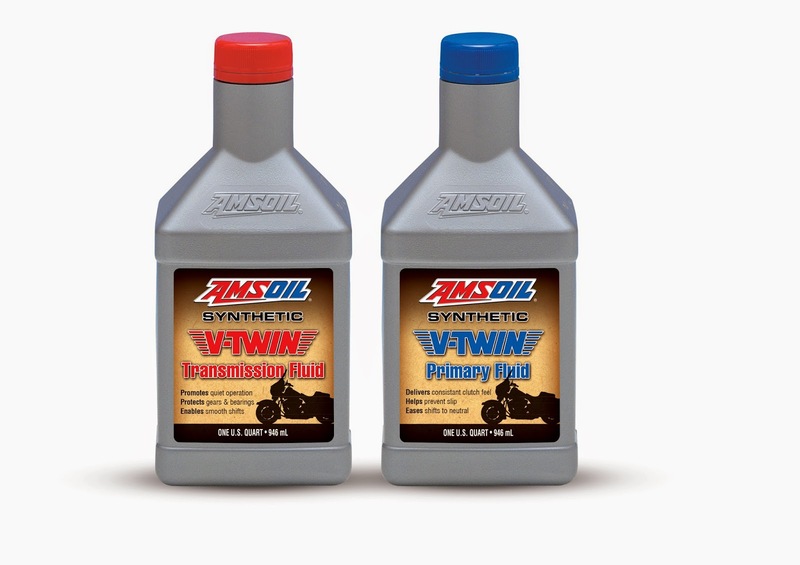 For more information on these new products and other AMSOIL Motorcycle Products check them out at: http://www.amsoil.com or http://www.The1stSyntheticoil.com. Should you desire to purchase these products you can call 1-800-777-7094. Give the operator ZO 9792 in reference to your call as to whom you have been working with for these or any other AMSOIL Products. 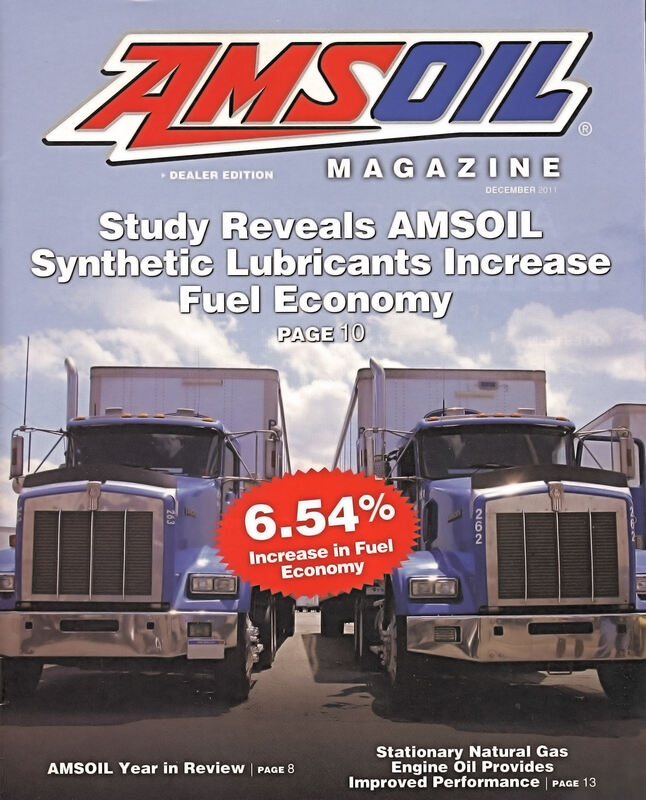 AMSOIL, the leader in Synthetic Lubrication, doesn’t just talk about their products but they have the Statistics to prove their claim how AMSOIL products provide better protection, performance and save the customer money. 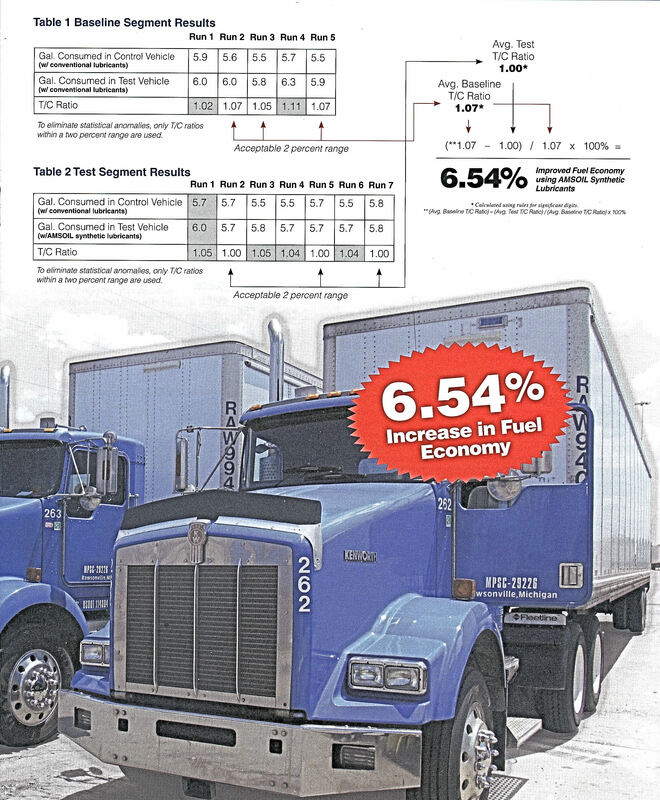 Over-the-road Diesel Truck tests show using AMSOIL Diesel Oils give a 6.54% improvement in fuel mileage thus saving the owner/operators much on diesel fuel costs. 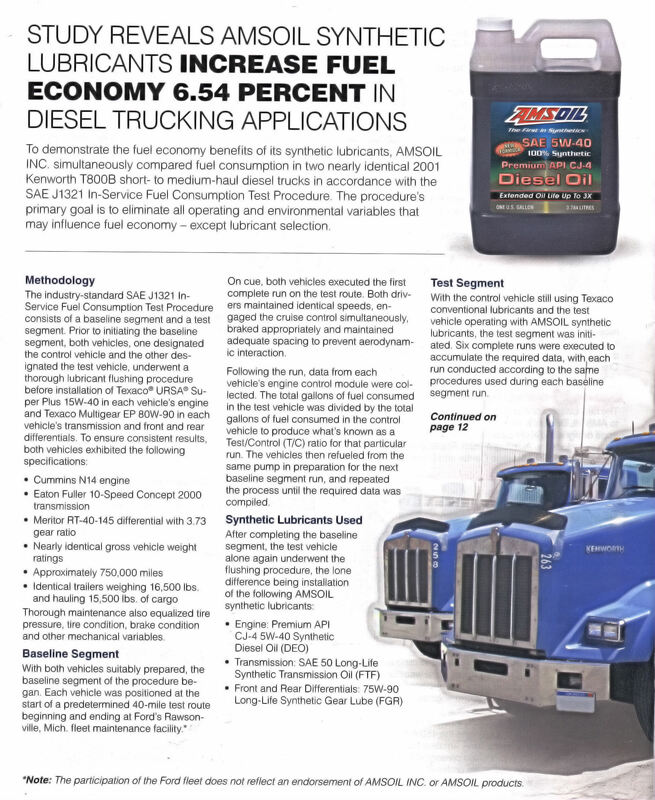 Truck owners who have moved from using Chevron Delo 400, Shell Rotella-T, Cummings Premium Blue to AMSOIL Diesel Oils realize that their hard working Diesel Tractors have much lower operating temperatures, less break down of the oil, less sludge, varnish and gum deposits and their drain intervals are extended at least three times longer than using the others products. Also with over-the-road trucking, a truck could be in Florida today with high heat temperatures and in cold country the next day. They have found they DO NOT have to leave engines running all night to keep the engine lubricated. They can shut down for the night and the next morning have instant oil pressure because of the Low Pour Point of AMSOIL products. In tests done with a Cummings 400-D Big Cam, temperatures went from 290 in the transmission down to 210 using AMSOIL products. Less friction, less drag, less heat, less wear equates to more torque thus more horsepower. 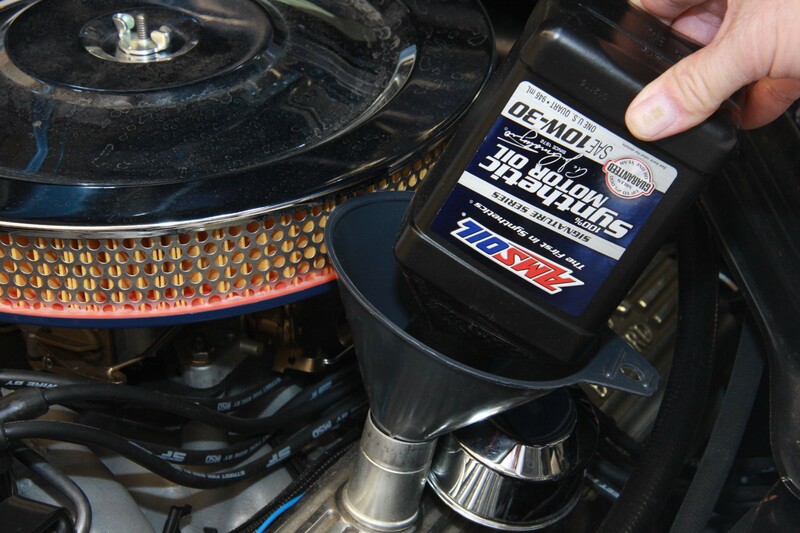 Engines DO NOT HAVE TO WORK as hard using AMSOIL Products. And with Oil Analysis, drain intervals could be extended greater than the three-time interval or petroleum. For more information about AMSOIL Diesel Products or other AMSOIL Products you can visit www.amsoil.com or www.The1stSyntheticoil.com. Should you desire to purchase any of these products you can call 1-800-777-7094 and give the operator ZO 9792 when you place an order. I have had questions concerning the use of AMSOIL lubricants for snowmobiles and specifically Ski Doo Snowmobiles of which I have owned TWO while living in Duluth, Minn from 1969 – 1973. NO you don’t use Transmission Oils in a Ski Doo Transmission Case. The transmission used in snowmobiles is a CVT which is dry. It uses a belt and two clutches to take care of the shifting. Most snowmobiles use a chain case (chain and gears) to transmit power from the CVT to the driveshaft. This chain case is lubricated by its own oil. In the case of the Skidoos, AMSOIL’s TCC (Synthetic Chain Case Lubricant) can be used to lube the chain case or the SVO (75W – 140 Severe Gear Lubricant) which is a closer match to the Skidoo chain case fluid but is WAY overkill for that application. Further information on proper engine oils to use for Snowmobiles would be AMSOIL’s AIT (Interceptor Synthetic 2-cycle Oil) in the SkiDoo 2 strokes such as the 600 and 800 E-TEC. 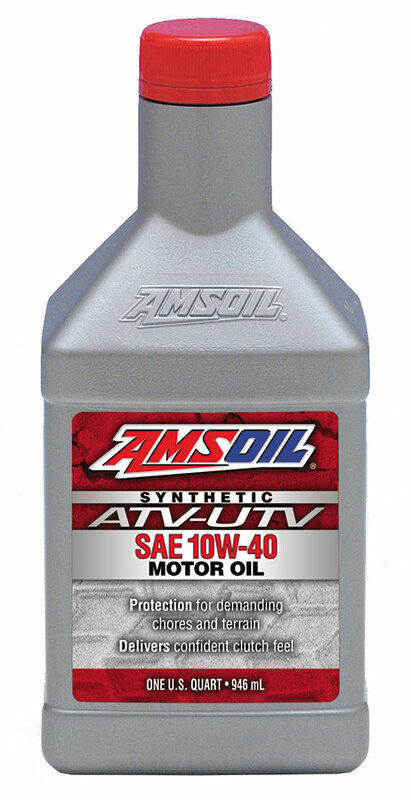 In 4 stroke sleds and Can Am ATVs, AMSOIL recommends the AFF (SAW 0w-40 Formula 4-Stroke Power Sports Motor Oil). 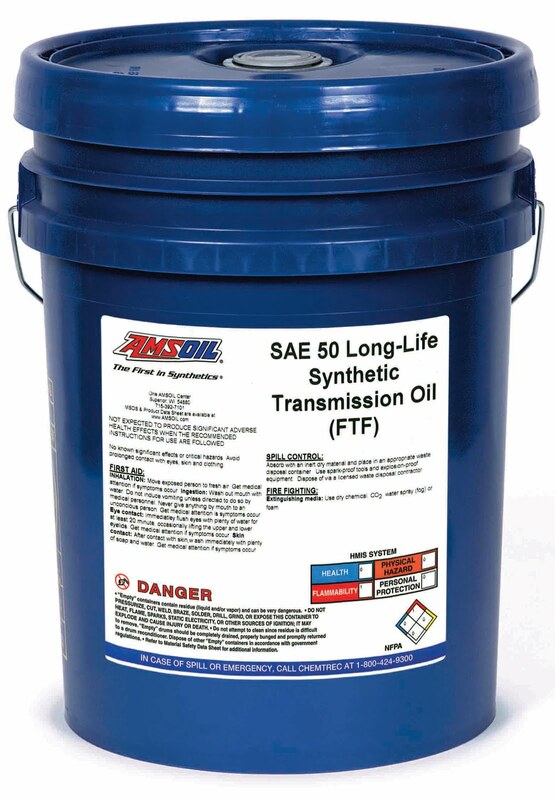 New AMSOIL SAE 50 Long-Life Synthetic Transmission Oil (FTF) is specially formulated to meet the demanding requirements of manual transmissions found in high-torque, heavy-duty line-haul trucks and other commercial applications. Its synthetic base stock and premium additives help reduce gear and bearing wear, improve shifting and extend transmission life throughout drain intervals of up to 500,000 miles/five years. 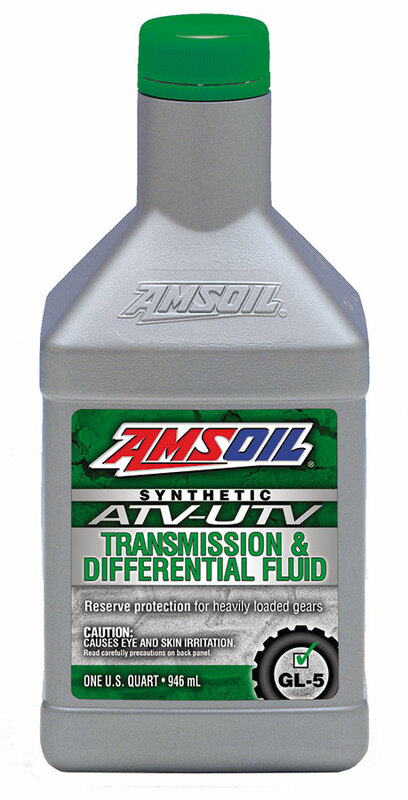 For further information, check out this transmission fluid at www.amsoil.com or www.The1stSyntheticoil.com. Should you desire to order this product or anyother AMSOIL products call 1-800-777-7094 and use ZO 9792.